grfC Day6: Snowflakes Manicure : Nail of This Week. This looks heavenly! 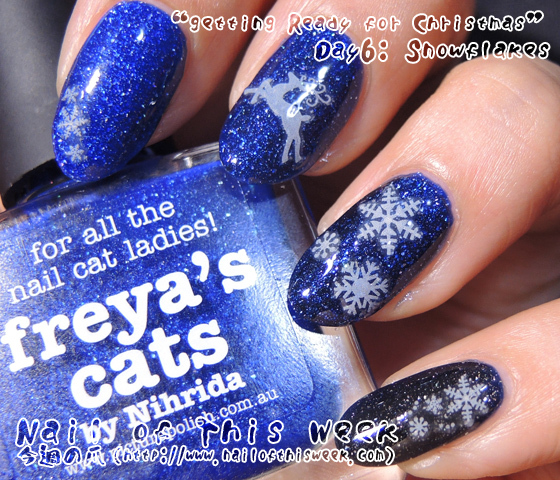 Freya's Cats is a big lemming of mine and I love snowflakes!